SCP-3043: Murphy Law in… Type 3043 — FOR MURDER! Inspired by Tracer Bullet from Calvin and Hobbes, and Taffeta's To Be Noir Not To Be tale. I'm still not quite sure what just happened. Yesterday, our bots picked up unauthorized changes to documents on our internal servers. Two minutes later, all on-site personnel — including myself — blacked out for three hours. Every camera ceased to function during this period. When we woke up, we all had headaches, the entire site smelled like cigarettes and cheap alcohol, two of my guards were injured, three bullets were lodged in my desk, and somebody had shot SCP-3043. The only clue we've got regarding those three hours is SCP-3043's old documentation, which has been… well, 'updated' is one way to put it. I've included it with this email, along with the revised documentation for SCP-3043. We've got no clue who this 'Murphy Law' character is. I'm recommending we immediately assign him an SCP identification and start investigating. All the evidence we've got so far indicates that he and SCP-3043 are unrelated anomalies. Also, none of us actually remember him — despite some of us being 'featured' in… whatever the hell this was. The short of it is this: Either he saved us from the mother of all containment breaches… or he just wanted us to think that he did. Regardless of which, we need to know who he is and what the hell he's capable of. A light-skinned man leans back at his desk, feet up, reading a newspaper. He is clad in a white-collared shirt, with his trademark trilby hat tossed thoughtlessly atop of his desk. We can see his shoulder-strapped holster; it carries a .44 magnum. A bent cigarette rests between his lips. His name is MURPHY, and he is ready to give anyone a bit of the business. He is hard and handsome — with the sort of face you could use to smash up concrete, then dust off and still take home to show your ma. He is also our NARRATOR. His voice is a harsh growl; as if he just swallowed a fistful of spent cigarette butts and followed it down with a sulfuric acid chaser. You see a lot of ugly in this line of work. Good people with bellies full of lead, left to bleed out in rain-soaked alleyways. Love ruined — turned inside out — until it just becomes an angry, festering sore. Statues that'll kill you as fast as you blink. The door to the office flies open. A dark-skinned woman dressed in a white lab-coat bursts in; she is in her 40s, and has a fierce, vibrant beauty. This is the RESEARCHER, and although she might need MURPHY's help, that doesn't mean she's going to like it. But when it comes to ugly, nothing beats a containment breach. What… what am I doing, here? She wasn't the first beautiful woman to burst into my office and ask me that question. Same as anyone else, toots. You need my help. MURPHY slides his feet off the desk and rises to stand. He folds his arms over his chest and watches her. I don't remember. I don't even remember my name. A beautiful woman with a doctorate in molecular physics — and no memory of who she was or how she got here. Her eyes told me she needed my help; her name-badge told me the rest. The RESEARCHER looks down at her name-badge, as if noticing it for the first time. She appears shocked; her eyes rise back up to stare at MURPHY. She now knows her name. It is DR. LEWIS. I… right. That's my name. I work for the Foundation. The Foundation. A bunch of pencil-pushing geeks trying to figure out where the magicians were hiding all those rabbits they pulled out of their hats. I should have turned her away right then and there; when the Foundation's involved, you know it ain't gonna be nothing but trouble. MURPHY scowls, but nods his head, moving to open a drawer in his desk. But me? I'm not the sort of man who stays away from trouble. MURPHY pulls out two shot-glasses, along with a bottle of half-finished whiskey. He sets them atop of his desk, focusing his icy stare on DR. LEWIS. I'm the sort who slides on over next to trouble and buys her a drink. Alright, Professor. I'll take the case. You will? I mean… wait, what? My name is Murphy Law. And I'm the guy you call when everything that could go wrong… did. Murphy Law in… Type 3043 — FOR MURDER! MURPHY drives; DR. LEWIS stares out the window in the passenger seat. City lights wash through the car, casting both of them in a metallic tangerine glow. DR. LEWIS is wearing her seat-belt; MURPHY isn't. Alright, Professor. Talk to me: What else do you remember? She was smart. But that was part of the problem: She was too smart. Always thinking too much. Sometimes, you just gotta go along for the ride. Focus on the problem. What do you remember before stepping into my office? Like something was trying to erase me. Erase the thoughts in my head, even as I was having them. Sounded to me like the Professor stumbled onto something she wasn't supposed to. Somebody had tried to rub her out — but who? And how? I think… I can't remember all the updates I was making, but it had to do with SCP-3043. If I was going to figure out this mystery, I had to find out what 3043 really was. And if the Professor couldn't tell me, there was only one other person who could. MURPHY turns left, brows crinkling with renewed focus. MURPHY's car parks just outside of a sprawling gated mansion. If Site-95 was the rotting corpse, Site Director August was the worms wriggling inside of its corrupted core. Bribery, extortion, racketeering — he had his dirty paws in the pocket of every two-bit researcher, agent, and D-Class from Level 9 down to Sub-Level 7. MURPHY shifts the car in park; DR. LEWIS turns to look at him. MURPHY moves to open the door. But he also had ears everywhere. When a gnat took a crap, he heard the plop. If anyone knew what 3043 really was, it would be him. MURPHY pauses, looking back at her. I just remembered — the update I was going to make to the documentation. MURPHY tilts his head, waiting. MURPHY nods grimly, then turns to shut the door. Filled with conviction, he turns to walk toward the mansion's gates. The office is expensively furnished, with framed-glass windows on three of its four walls; outside, a lush garden grows on all of its sides. Morning light streams in through the windows, casting the room in a warm glow. Standing behind the desk — facing the rising sun — is a man. He is short, with russet-brown skin, a shaved head, and a face full of piercings. He wears an exceptionally fine black suit. This is Site Director AUGUST: A hard, brilliant man with a heart of steel. As MURPHY enters through the door, he's flanked by two men in sharp suits. They are silent, but armed; ready to do violence at a snap of AUGUST's fingers. As MURPHY shrugs himself out of their grip, they station themselves on either side of him. Mr. Law. You wanted to see me? When dealing with Site Director August, you didn't try to bluff. You just kept your cards close and hoped to God the man didn't have a better hand. Is it, now? Since when does the Foundation care about classifying 'Safe' anomalies? AUGUST turns, ever so slightly. A pierced eyebrow is raised. I just raised the ante. How would you know that? And we care about classifying all anomalies, Mr. Law. So I've been told. But a little birdy tells me you might have classified one of them wrong. 3043 ain't Safe. It's Keter. AUGUST turns completely, staring MURPHY down. You've been speaking to Dr. Lewis, I presume. Where is she? Something wasn't right. He was already calling me — and men like Site Director August only smiled the instant before they laid down a winning hand. Safe. Unlike 3043. What is it? AUGUST narrows his eyes. He gives the slightest nod. That was his tell. He unwittingly had shown me his cards: Pair of aces. The two men on MURPHY's left and right instantly reach for their sidearms. Lucky for me, I was packing three of a kind. MURPHY slams his left elbow into one man's stomach; he uses his right hand to draw his magnum .44. As the second man pulls his piece, MURPHY pistol whips him in the temple — he goes down. MURPHY spins and opens fire — three shots slam into AUGUST's desk. AUGUST freezes, but shows no fear. His eyes narrow. It was time to cash out. 3043. Last chance. What is it? MURPHY pauses long enough to kick one of the men on the floor, but never looks away from AUGUST. You know precisely what it is. It's you, Mr. Law. You're the anomaly. You're SCP-3043. MURPHY narrows his eyes. He gives one last kick to one of the men, then charges out the door. MURPHY's car is still waiting for him; he runs toward it. Someone had played me like a fiddle. It was all a setup — and I was the stooge. As he reaches his car, he finds it empty; no sign of DR. LEWIS. 3043 was going to make me take the heat for whatever it did to the Professor. It had me wrapped up nice and tight — even got me to present myself to the Foundation in a pretty little bow. MURPHY gets into the car, starting it up. But there was one thing 3043 didn't count on: A man with nothing to lose. The tires squeal as he burns rubber, driving away. If the Foundation couldn't contain 3043… then I'd just have to contain it myself. MURPHY kicks down the door, clad in his trilby — .44 magnum in hand. The interior of the lab looks like an office; bookshelves stuffed full of science journals, several desks, paperwork scattered everywhere… and DR. LEWIS' chair. The chair's tall back obscures whoever is sitting in it. MURPHY creeps forward, gun in hand, reaching a hand out for the chair. She said she heard 'typing'. MURPHY grasps the chair, spinning it around. Sitting in the chair is a black 1937 Olympia Elite typewriter. A roll of paper is inside of it; it communicates via typing. As MURPHY points the gun at it, it begins to type furiously. 3043 was her goddamn typewriter. DR. LEWIS suddenly steps out from the shadows, a .45 in hand. She points it squarely at MURPHY. Step away from the typewriter, Mr. Law. MURPHY turns, his gun pointed back at DR. LEWIS. It's controlling you, Professor. Just like it controlled August — and everyone else. It was pretending to be Safe — not letting anyone know it was sapient. DR. LEWIS' hand shakes; the gun trembles. It can rewrite any story it's part of — even the stories in your head. When you realized it, you tried to update the documentation, and it tried to erase your story… erase you. DR. LEWIS shudders, stepping back; her hand lifts to grasp her temple. The gun tumbles to the floor. MURPHY turns, pointing his magnum at SCP-3043. MURPHY pauses, waiting. DR. LEWIS sinks down to a seat, still rubbing her temples. 3043 could do it, too. Sure, it could have been a trick… but maybe not. Letting 3043 live, despite what it had tried to do — it felt like what a good man would do. It'd be the right thing to do, wouldn't it? Heroes always do what's right. But me? MURPHY walks out of the lab and into the streets, smoking a cigarette — holstering his piece. He walks away, toward the fading sun. I'm no hero. I'm Murphy Law. DR. LEWIS, now starting to recover, walks toward SCP-3043. Wisps of smoke rise up from it; two fresh .44 slugs have been pumped into it. The paper inside of it has its previous dialogue, with one addition at the very bottom. I'm just the guy you call when everything that could go wrong… did. DR. LEWIS pulls the paper out to read it; the camera zooms down to the bottom of the page. Special Containment Procedures: SCP-3043 is to be kept in a secure locker on-site. Access requires Level-3 clearance. 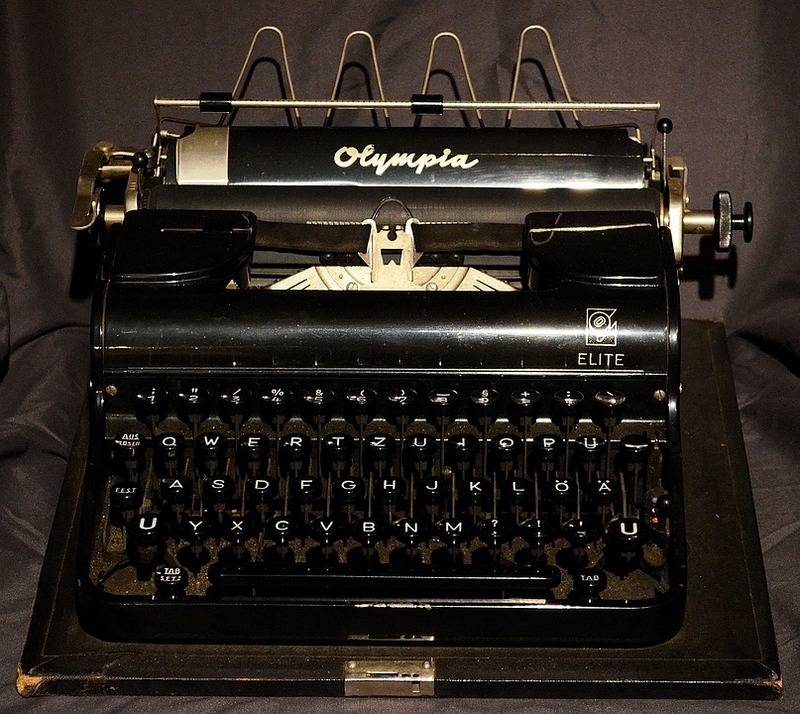 Description: SCP-3043 is a 1937 Olympia Elite typewriter. Two .44 caliber bullets are lodged in its casing. Before it was neutralized, SCP-3043 exhibited the ability to rewrite any physical document within its immediate vicinity to match whatever was typed into it. It was neutralized before any additional properties could be confirmed. On 14-12-2005, a containment breach occurred at Site-95. During this breach, an unknown anomalous event prevented all outside contact for approximately 3 hours. All entities affected by this anomaly have no recollection of the events that occurred during these 3 hours; furthermore, all recording devices within Site-95 appear to have malfunctioned during this period. Shortly after this event concluded, Site-95 reported all SCPs were now contained with the exception of SCP-3043. SCP-3043 was found in Dr. Lewis' office in its current state. Dr. Lewis also discovered that all copies of SCP-3043's documentation were now replaced with an 'updated' version (see attached files). MURPHY stands at the edge of the docks, watching the sun go down on just another day. Behind him, two sleek black cars roll up. A dozen men start pouring out of them, but he doesn't bother to look back. The men are smartly dressed in black suits; they crowd around a short old woman dressed in white. She slowly approaches MURPHY, leaning heavily on her cane. One man follows her closely — her personal secretary and bodyguard. The man is AGENT FREDERICK; whatever it is, he does it by the books. The woman is O5-5 — and if we told you anything else, we'd have to kill you. O5-5 moves to watch the sunset besides MURPHY. AGENT FREDERICK is clearly displeased; he'd rather she not get too close. You did some good work today, Mr. Law. O5-5 reaches to pull a cigarette out of her pocket, placing it between her lips. If we ever need your services… how might we contact you? MURPHY leans forward and plucks the cigarette out of O5-5's mouth. AGENT FREDERICK immediately reaches for his firearm, but O5-5 lifts her hand to stop him. MURPHY tucks the cigarette behind his ear for later. As he walks away, a fog begins to roll in. AGENT FREDERICK steps forward, as if to go after MURPHY. O5-5 grabs him by the shoulder. AGENT FREDERICK slides his hand away from his firearm. Together, they watch MURPHY walk off into the foggy night. The camera focuses on MURPHY's silhouette as the view fades to black. ...THE FOUNDATION ALWAYS RINGS TWICE!